Waffles or pancakes? Pancakes or waffles? If you're a person, and I assume you're not some robot from the future reading this right now, then you probably have a preference. So if you're like me and would rather have some waffles than pancakes today, an actual pancake celebration day, then read on. 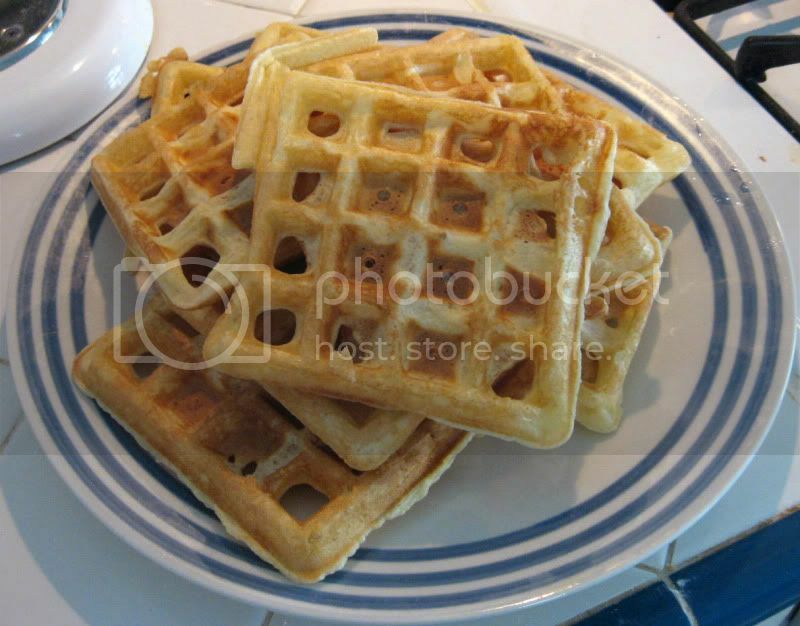 These are waffles that use Bisquick. Yes, yes, not entirely homemade. But I have all of this Bisquick from the 7Up Biscuits, and was also feeling like some waffles, so what are you gonna do? It's obviously a perfect opportunity to combine the two. And also? Super easy. 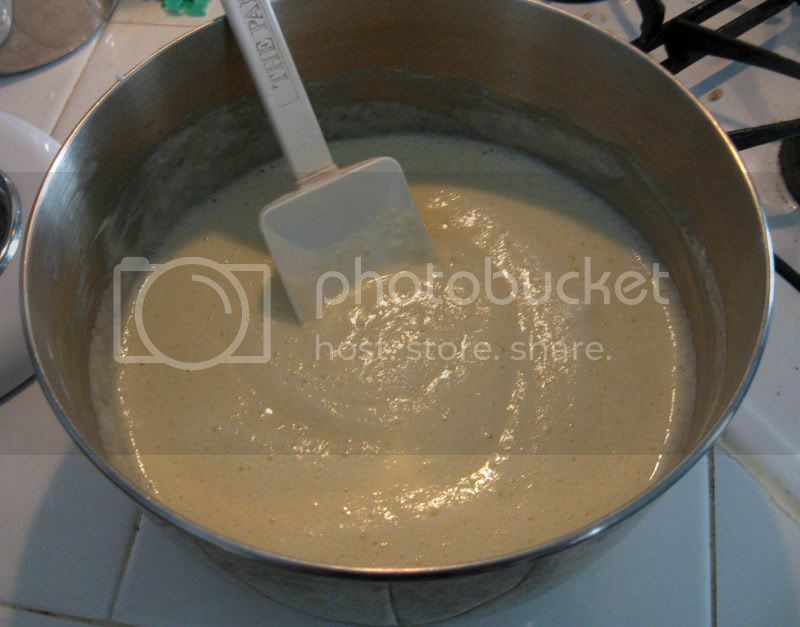 Mix mix, water, milk powder (or 1.5 cups of milk if using that instead) and egg yolks until well mixed. In a separate bowl, beat egg whites with clean beaters until stiff. 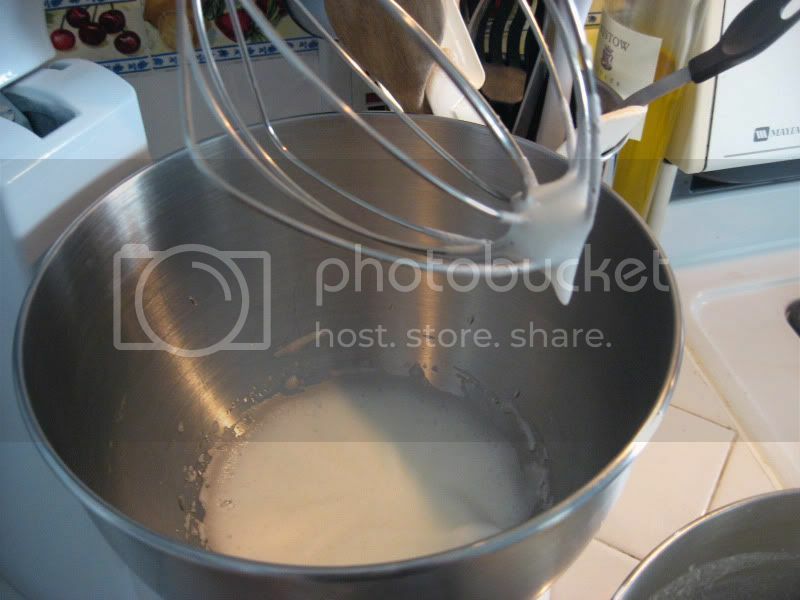 Fold egg whites into the batter. 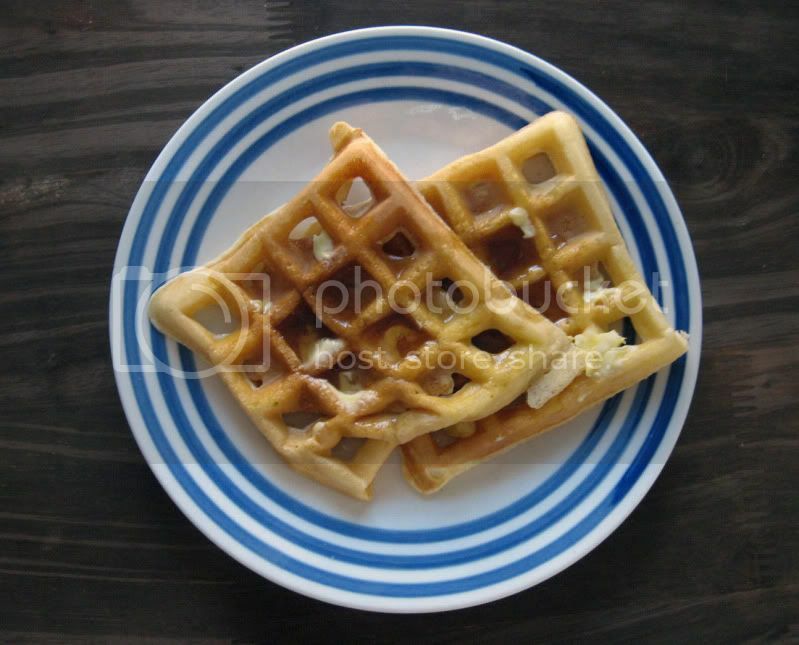 Pour the batter onto a preheated waffle iron and bake per its instructions. These can be frozen when cooled, or just refrigerated for a few days if you feel like it. Pop 'em in the microwave (depending on how many, I did mine for about 45 seconds, but they were just refrigerated, not frozen), or if you so desire, you can treat these like some Eggos and stick them in the toaster. 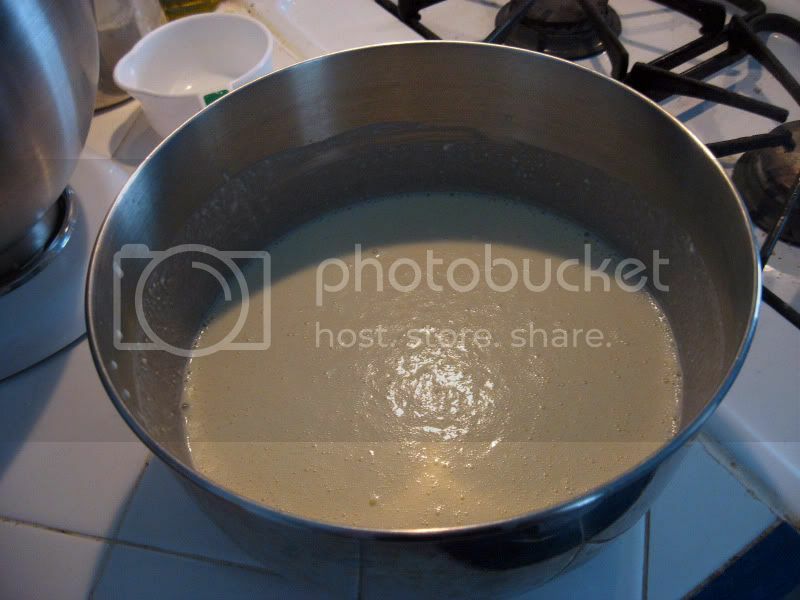 Water, milk powder, Bisquick and yolk mixxy mix. Whip up the egg whites. Fold in the egg whites. Fluffy. 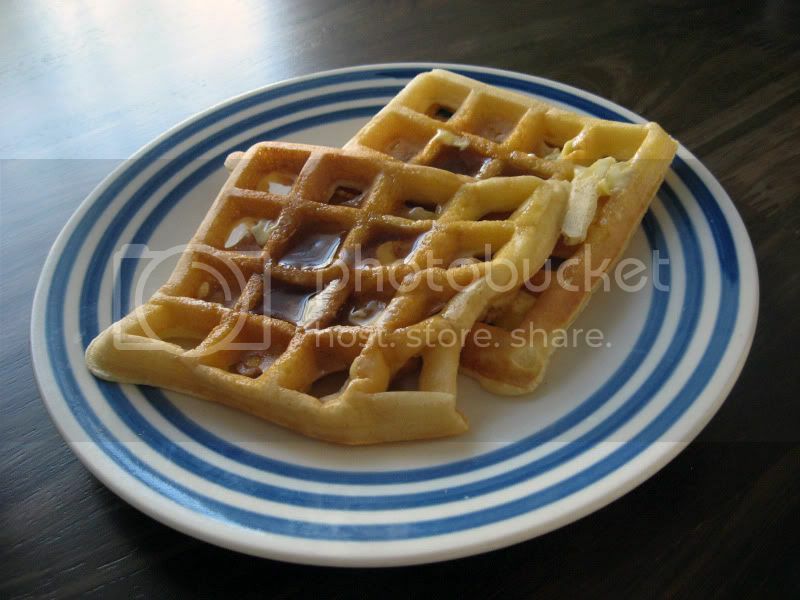 Set your waffle iron to work and voila!